In just over seven weeks I will fly to Rome. After a few days of seeking out my favourite Caravaggios and sampling the local cuisine, I will pack my life onto my back and start running for home. Home, by the way, is London. 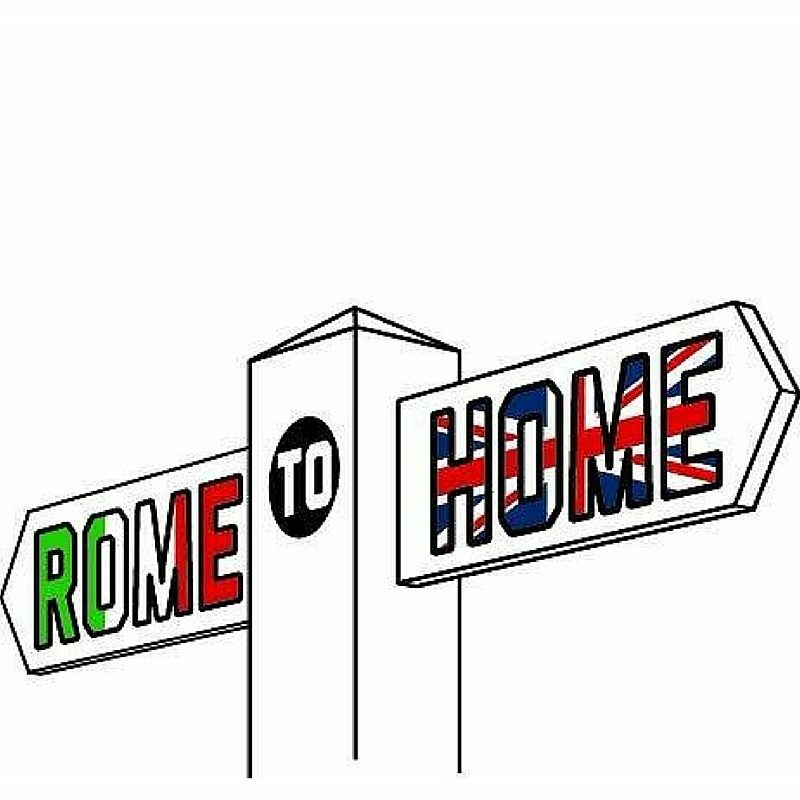 If you want to find out a little more about the background of my ‘Rome to Home’ challenge, read my first blog here. I’ve been trying to work out how this knowledge makes me feel and it’s very hard to pin down. When I was at the three month mark, I focussed on running an awful lot, getting advice about gear, saving every penny I could and going on campouts. Then work got a bit busier, I got my head stuck in a really great book and we had this heatwave thing (all very distracting). On Monday, then, whilst on the 5.21am bus to Project Awesome, I counted how many weeks there are until Day 1 of the run and there were eight. Just eight short weeks. Less than two months. Since realising that, already half of one of those weeks has gone. I knew, when I planned something to happen in nine months, that although it seemed ages away, that day would get nearer and I would actually have to live up to my word and do it. I also definitely had an idea about who I would be at this stage. I would be running everywhere, everywhere, I tell you! It would just happen. I would panic and get a sense of urgency about me and I would run everywhere, as training. I wouldn’t do what I was always tempted to do and jump on a bus for that last leg of the journey. I wouldn’t chicken out and hop on a cycle hire bike. I would leave enough time and I would run everywhere. I would be kitted out to the max. I would have a spot tracker (not definite on what those are yet) and a solar panel charger and I would be looking tip-top in my fancy gear. I would live outside. I would basically have become a kind of cave-woman extraordinaire, the wild outdoors being my comfort zone. I would crave the outdoors. I would learn to speak with wolves. I would be, in a word, prepared. Yet here I sit on my day off, in my pyjamas, eating peanut butter from the jar with a spoon and wondering whether I’ve left enough time to get where I need to be at 2pm and whether it mightn’t be easier and quicker to get the tube. In all likelihood, I will actually put on my running gear and run there but the fact that my mind chooses the easier option first is not something I expected. I figured I’d be relishing the opportunity for more training. But here’s the thing. The more people I speak to about endurance running the more I hear phrases like, “you don’t want to overtrain your body,” and “you can’t train for something like that.” I mean, in context, I’m not sure they meant, ‘just get into your jarmies and eat peanut butter instead’ but it seems to be what I’ve taken from these conversations. I met the amazing Jamie Ramsay last week, fresh back from his solo 17,000km run from the top to the bottom of the Americas. He is somewhat of an expert, one might say, in the field of long distance running. Thank you very much indeed, thought I, as I settled back in my chair and ditched the idea of running to work that day. I shall take a bike and I shall not feel guilty for not running. As you can probably tell, something of a complacency seems to have settled in. Never fear, however. I’ve not taken up a sedentary life of peanut-butter eating (fab as that would be). I am doing things. I am constantly moving my body and working out. I have been to Project Awesome workouts, bootcamp workouts and frequenting a gym (fancy! ), to name but a few. The only thing is that what running there is in these places is short, sharp and free of a backpack so not that representative of the circumstances of my run. The moment being able to do 13 press-ups in a row makes you a better runner, I’ll win all the prizes. I’m at a sort of middle ground, therefore, where I am moving my body a lot and keeping up my general fitness but not much of it is run-specific. While I don’t need to try and ‘train’ exactly for the run, as established, I feel I should be doing a little more running than I really am right now. Yet no urgency kicks in. My brain registers that I should probably run more, I think about going on a run, I instead reach for the peanut butter jar while a tiny alarm warns in the back of my head – seven and a half weeks, seven and a half weeks. My high-tech kit that I thought I’d be equipped with? That I would have been sensible with money and researched and saved up for? It’s actually a wonderfully eclectic array of things that others have given me. Instead of having researched the back pack which, Jamie Ramsay of the big run tells me, is my most important piece of kit, I rocked up to Project Awesome and over coffee and chat afterwards, one of the leaders, Donna, generously offered to lend me one of her running backpacks. What a fantastic woman! And that’s how I got my backpack for the run. My headlamp and sleeping bag silk liner and waterproofs? My friend, Tarek. My bivy bag? My brother. My compass? My work colleague, Jo. The list goes on. So while I do not have the imagined look, of a highly qualified ninja warrior about to fight off a bear, I am equipped. Some things, admittedly, I’m still just plain ignoring. The need for a tracker thing that tells people how far I’ve gone et cetera, power pack things for extra charge for my phone, possibly a solar panel charger, perhaps a camera – these things I will deal with, um, when I start to become the version of me that I always think will happen. The version I thought I’d be now! In terms of having become an outdoors extraordinaire, I’ve done a few campouts, don’t get me wrong. They were good fun and even rather pleasant. I still have a few quibbles, though. I worry about looking like a total wierdo if I’ve picked a camping spot in the dark then wake up in someone’s front garden or with some cows trying to eat me or a policeman arresting me. I worry about my Italian not being good enough to explain myself if someone’s getting rude. I still have a fair way to go before I’m totally at ease with the idea of life on the road. I’m doing my typical thing of trusting that it’ll be fine and I’ll kind of sort it out later, sort of, kind of, ish. There it is, then. That’s how it feels to be seven and a half weeks from the biggest adventure of my life thus far. It feels very like peanut butter. To support Laura on her fantastic journey, you can donate to her challenge at her JustGiving page. You can also find her on Facebook, Twitter & Instagram if you have any questions about her challenge! Has Laura’s challenge inspired you to take on one of your own?